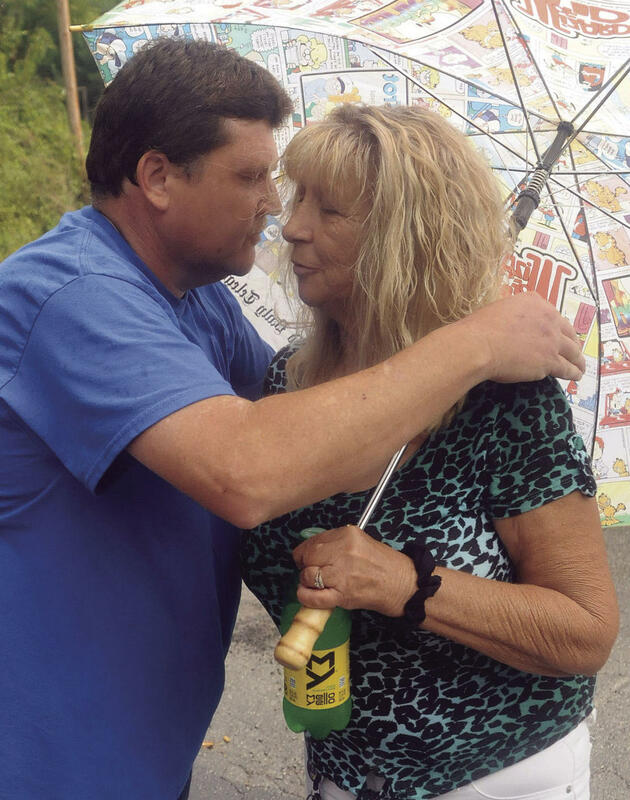 Michael Slusher hugs his aunt Lois Epperly Thursday, as Lois waits for news from the rescue team searching for her son Clay. Sgt. R.A. Daniel of the West Virginia State Police Welch Detachment also confirmed to the newspaper that the search was over. Epperly's family said rescue crews who had been searching since Tuesday encountered too many dangerous situations underground to continue the search. Efforts had to be suspended Wednesday as oxygen in the mine dropped to dangerous levels. Giant fans were brought in to blow fresh air into the mine, and rescue crews had gone back in Thursday afternoon. Epperly and three friends entered the mine Monday night. Epperly became separated from the group, and the friends went back into the mine looking for him about 2 a.m. Tuesday. Rescue volunteers began searching later Tuesday.